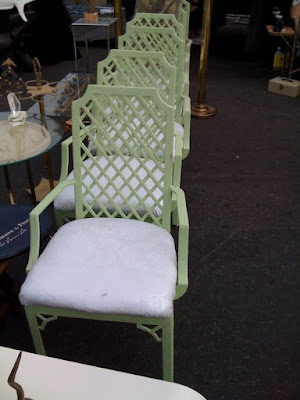 My friend Alison was kind enough to share these photos that she took at the Rose Bowl Flea Market today in South Pasadena, California. 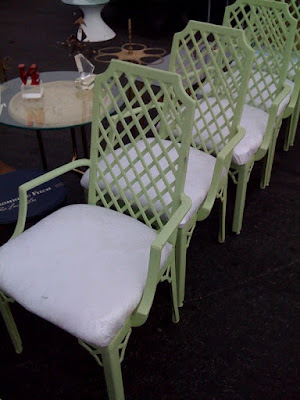 I love these chairs - white...lattice back...and the corner detail on the legs! I'm glad I was not there in person or I would have had a little temper tantrum until they came home with me.